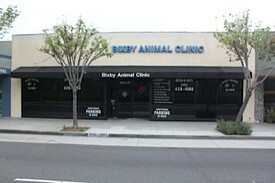 Bixby Animal Clinic first opened in October of 2005. From the beginning, Bixby Animal Clinic has helped its clients celebrate and enjoy the special bond that is shared with their pets by providing attentive, innovative, and professional veterinary care in an atmosphere that is honest, compassionate, competent, and friendly. Each day we can feel confident knowing that we helped people and pets in a meaningful way. Sometimes we help people while sharing in their joyous exhilaration. Other times we help people while sharing in their heartrending sorrow. Yet, at all times, we will help people while treating them as our friends, and help their pets while treating them as our very own. Bixby Animal Clinic is fully equipped to provide a variety of diagnostic, medical, dental and surgical services for dogs and cats. Our clinic also provides behavioral or nutritional counseling and alternative vaccination protocols. Emergency Process For emergencies occurring after hours, call us at (562) 426-4066 to find out about emergency clinics in the area. Prescription Refills For the refill of an existing prescription, please call us 24 to 48 hours in advance at (562) 426-4066. We will do our best to authorize and fill your request in a timely manner. If your prescription is usually a special order, please notify us at least a week before you run out of the medication. Food Order Requests At Bixby Animal Clinic, we carry Hill’s Science Diet and Hill’s Prescription Diet food. We place all food orders by Wednesday for delivery that same Friday. Occasionally, the food we order is not available or arrives the following Monday. Please place your order at (562) 426-4066 at least a week before you run out, and call us in advance to make sure your order has arrived.